Chapter-wise study materials (or) notes and questions based on revised syllabus. Ample emphasis has been given to explain various mathematical concepts correctly and with detailed explanations. All important results and formulae of each chapter has been provided at the BEGINNING of each chapter for the convenience of students. 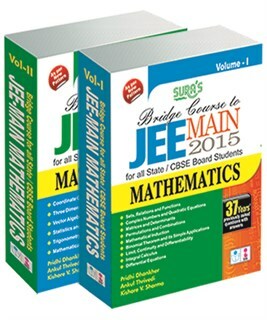 Exercises based on JEE-Main approach to assess the understanding of the concept. Stop a while exercise given at the END of each chapter for Quick Revision. 1000's of Examples and Exercise of each chapter. Multi level test for Practic. 37 year's previously asked questions with answers. Important Formulae and Derivations for every chapter. 1000’s of Examples and Exercises for each concept. Multi level test for Practice. Important Tips for better Learning and Understanding. 37 years’ previously asked questions with answers.